Is Friendship Club the right group for your child? Child Success Center’s Friendship Club is designed for children, ages 4.5 – 11, who are having a difficult time navigating the social landscape of the classroom or group setting and/or building and maintaining friendships. Growing and learning to engage with others in their social system is often confusing or overwhelming for a young child, and can result in undesired behavior and coping skills. The small group environment of Friendship Club works well for the child who needs a structured social environment to strengthen and master communication skills. Have a difficult time joining and staying in groups? Act overly silly to get attention? Have tantrums that get them excluded from social situations? Appear to have low self-esteem? All children can benefit from a social skills program, but for some it is necessary in the mastery of social concepts. This behavior program can help children with any of the above mentioned issues, as well as children with high functioning autism, ADHD, or delayed development. No diagnosis is needed, but the child must be able to separate from a caregiver, use the toilet independently, be able to speak and be understood, be free of a history of eloping from the classroom, or aggression that is outside of the expected age range. How is Friendship Club Different from Other Social Skills Groups? Friendship Club at Child Success Center offers a unique experience that blends social learning lessons, therapeutic play and positive reinforcement in a fun, engaging sensory gym environment. Friendship Club members are physically active and challenged in this gym environment, while being taught a social skills curriculum that addresses both social needs and behaviors. Where is Friendship Club held? 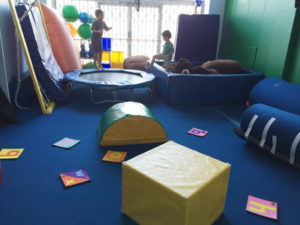 The Child Success Center’s indoor sensory gym environment provides opportunities, through physical play experiences, provides a child with opportunities for gross motor and fine motor skills development along with social development. The children enjoy a variety of activities, including swings, rock wall, zip line, trampoline, pillow pit, and monkey bars, increasing body awareness and developing social muscles while having fun. The increase of self-esteem in children during physical play, and when they feel successful in movement directly effects their coping skills and mood. How are positive social behaviors developed? The program is designed to use a multimodal approach of positive reinforcement, flexible behavior systems, floor time aspects, mindfulness practices, and the Social Thinking® (Attributed to Michelle Garcia Winner as creator of the Social Thinking Methodology) curriculum, “We Thinkers – Social Explorers™” for early learners. Children acquire social skills tools through stories, art, structured games, collaborative projects, and guided small group play. By developing an individual plan that considers your child’s strengths and challenges in the areas of sensorimotor, language, and social/emotional development, our trained staff can create a safe environment for your child to take chances, and explore social development. Our therapists tap into each child’s specific interests, enabling them to optimize engagement and motivate participation in activities that are not always a child’s most preferred. The multi-faceted program addresses children that have a difficult time attending during direct instruction, experience difficulty with impulsive behaviors, and/or have difficulty with nuanced social interactions between peers and in groups. These children benefit from external reinforcers and praise. As part of the fun we implement a behavior reinforcement system of rewards and natural consequences. Each day, your child will have the opportunity to earn ”Friendship Tokens”, redeemable for prizes from our treasure chest at the end of each group session. Rewards provide external motivation to try non-preferred or difficult activities, and reinforce desired behaviors. Group members are encouraged to try new activities and participate, and once they have had a positive experience, it creates an internal motivator to continue that same choice. Friendship Club acts like a personal trainer for your child’s social skills growth, with individual therapeutic coaching during group led activities and free play. Gain experience in regulating their body in-group settings during group games in the Child Success Center gym, designed to support sensory motor regulation. Gain emotion regulation skills, and will be able to identify basic emotions and practice coping mechanisms to use in-group play. Practice regulating their voice and work on practicing their inside/outside/speaking/playing voice. Practice being aware of their body and attention in performing in context to the environment. Play group games that will facilitate thinking socially. Practice looking at what others are looking at, and thinking about what they are thinking about. Practice perspective-taking and seeing things from others point of view. Become a “Social Detective” and search for social clues about what others are thinking or feeling. Fill their tool belt with skills that will help them in their everyday classroom such as being “flexible” and meet our hero “Super Flex” who can transition from task to task. Practice “ignoring” social situations or people who are bugging them. Be positively reinforced for following the rules and directions from adults. Be positively reinforced for “good sportsmanship” and practice giving compliments and being part of a team. Practice greeting others and other social nuances. What is a parent’s role in Friendship Club? Individual family consultation or school-based consultation can be discussed after a four-week group attendance. We help our Friendship Club Members to learn the flexible thinking, perspective taking and self-regulation they need to make and keep friends. We offer guidance to their families as they add to their “tool belt”, giving parents and caretakers the tools they need in order to effectively support the child’s growth. 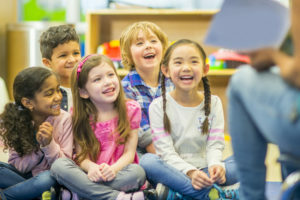 This guidance is offered in the areas of positive discipline techniques, positive praise and attention, effective directions and transitional warnings, token system behavioral re-enforcement, effective conflict resolution and problem solving. Research shows that a common language, similar boundaries, and expectations of a child across all environments aid a child in feeling safe and increasing desired behaviors and meeting social expectations. The more consistent all of the adults in a child’s life are, the faster change takes place and new skills embedded. Depending on the needs of your family, Patty Ramsey, LMFT is able to offer individual intervention with your child at the Child Success Center (for emotional regulation, independent introduction to Social Thinking® curriculum), behavioral home intervention help (setting up a home token economy system, intro to parenting techniques), family therapy services, or school-based consultation services (IEP review, behavior systems for schools). Friendship Club is typically offered in 4-week increments. Due to the nature of grouping children, a commitment for all 4-weeks is expected (no refunds). If your child is sick, or if you are out of town, you are able to access a 25- minute individual phone call with the facilitator to go over the topics covered. In order for your child to get the most out of their group, consistent attendance is needed. Facilitators take each child’s goals into consideration when creating an individual and group curriculum- no session is exactly the same. Social skills lessons build upon one another and are revisited every session. Call the Child Success Center at 310/899-9597 to enroll now. All clubs must be paid in full regardless of missed sessions. Individual sessions are not available to purchase. This program, including its teacher or leader, is not affiliated with, nor has it been reviewed, approved, or endorsed by Michelle Garcia Winner and Think Social Publishing, Inc.